Sea, Sand & Sky: Crabbing our way to the top! Crabbing our way to the top! On the last day of the week at George's Island, after a great downpour in the morning of and during the boat ride out to the island, a couple of the Junior Harbor Explorers and I decided to go crabbing since fishing wasn't very successful. After lunch, Karrisha, Manny and I went to the rocky shore to catch some crabs and were joined by the Paige Academy! Some of the kids were new to such an environment and were so amazed to see crabs and living animals in the salty ocean water. 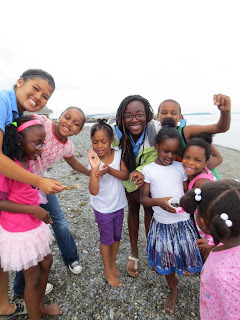 Some of the kids, including Nivea and Gizelle, had never held a crab before and worked up their courage to hold a smaller Asian Shore crab and not the aggressive green crabs. What I noticed was that there were many Asian Shore crabs along the shore and not that many green crabs. We then moved to the new dock. But I had forgotten to bring the bait!! I had prepared the pollock all morning and filleted it and skinned it. I was so sad that I had made such a huge mistake since I had so many kids ready to catch huge crabs with no bait. I had another plan though!! With the invasive crabs on hand, I told the kids that I had to kill them to help out our native crab species and although some were very sad, they knew it had to be done. 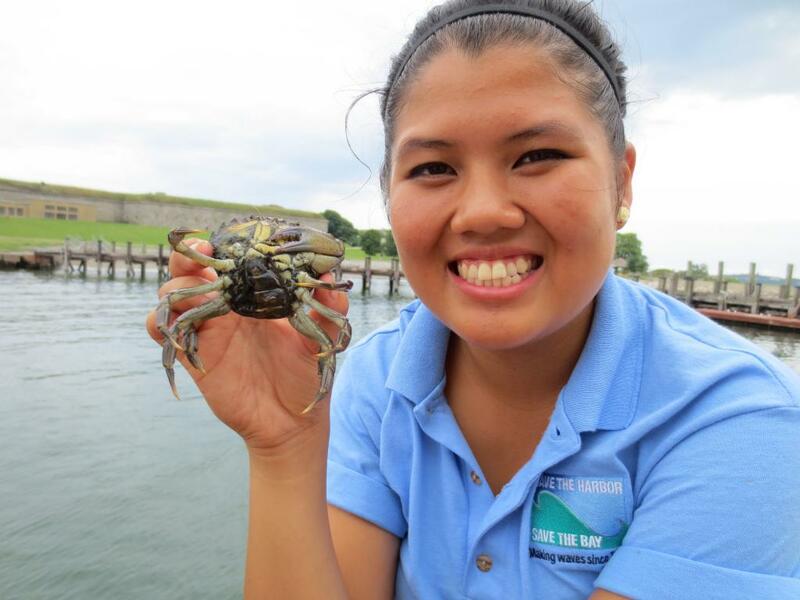 After dropping the crab trap into the water and waiting a few minutes, there were so many large green crabs!! They were even almost 4 inches across it's carapace. I had so much fun this week and I can't wait for next week on Spectacle Island!